editor’s note:- We offer this book review of Cash Box: The Invention and Globalization of the ATMÂ as our way of acknowledging the tremendous contributions that the currency industry and the ATM industry have made to each others proliferation. The business of creating, moving, processing and using currency would be a very different oneÂ without the ATM. Arguably the persistent use of currency as a common every day payment option owes much to the invention and subsequent evolution of the ATM. We wish to thank Mr. Dan Littman and The Federal Reserve Bank of Cleveland for allowing us to republish this review. You can findÂ the original review here. Cash Box follows the evolution of the ATM from primitive to sophisticated, and in the process illuminates banking innovation as something that should not be taken for granted. 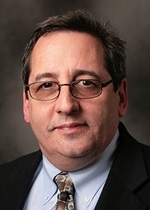 Dan Littman is an economist in the Office of Policy Analysis at the Federal Reserve Bank of Cleveland. His work focuses on applied research on payment systems and payment innovations. Many people take the objects that surround them for granted. Everyday objects, whether the toaster on your kitchen counter, the copier in your office, or the light bulb everywhere, are treated as if they sprouted from the earth fully formed. But historyâ€”and common senseâ€”reveals that they were not invented in an instant, or even necessarily for their current use. Innovation is a messy process that almost always results from many incremental changes. The incandescent light bulb, that most iconic of inventions, was the result of evolution, not revolution. The banking and payments industries are rarely the focus of popular or accessible studies of innovation. But these industries have their share of everyday objects that have come to represent consumersâ€™ relationship with the payments system and with their own bank accounts. Take, for instance, banknotes, coins, and checks, which emerged centuries ago, as well as credit cards, ATMs, and debit cards (invented in the 1950s, â€˜60s, and â€˜70s, respectively). These objects have innovation histories just as messy, incremental, and surprising as the light bulb. A new book, Cash Box: The Invention and Globalization of the ATM, takes banking innovation out of the darkness and gives it the credit it deserves as an everyday object with which consumers across the world regularly interactâ€”and take for granted as part of the modern landscape. Todayâ€™s ATM can do many things: dispense cash, take in loose cash and checks, perform check imaging, inform customers of their account balances, and allow for transfers from one account to another. They can also communicate with visually impaired customers and generate messages and receipts in a variety of languages. Currently, ATMs are most often found in free-standing arrangementsâ€”in the middle of a shopping mall, in a supermarket, at a gas station, in an airport. They communicate in near-real time with a host computer often hundreds or thousands of miles away. And customers increasingly go to ATMs to do their banking rather than entering a bank branch. The first device widely acknowledged as the ATMâ€™s immediate precursor was installed in a Barclayâ€™s branch in suburban London in June 1967. In functionality and operation, it resembled the candy vending machines of my childhood. Such machines performed sophisticated evaluations (for their time) of the inserted coins (size, weight, magnetic properties), and dispensed a uniform, single candy bar to the customer. Vending machines of that day and, until fairly recently, did not communicate to a central processor. They could jam or run out of product. They could have a fault that dispensed 10 candy bars instead of just oneâ€”all without the ownerâ€™s knowledge. Much like a vending machine dispensed candy, early ATMs dispensed cash. Designed by John Sheppard Barron of DeLaRue Systems, reportedly while he was at home in the bathtub, the first cash dispenser did not dispense stamps or take deposits, did not contain a personal computer (they had not yet been invented! ), was not connected to a bank mainframe computer, and could not tell customers how much money they had in their accounts. That ATM, the very one installed at Barclays in 1967, did not have a cathode ray tube to show messages and did not rely on plastic cards with a magnetic stripe. What it did do was dispense one fixed amount (Â£20) for each transaction. A huge amount of incremental innovation was required to move from a cash dispensing, near-vending-machine approach to the interactive, full-service, branch-replacement machines of today. Reading Cash Box: The Invention and Globalization of the ATM is a perfect way to follow the evolution of the ATM from its primitive beginnings in the 1960s to the sophisticated machines of 2015. It is not a scholarly book, which I count as a blessing, but more of what some might call a coffee table book. The authors have included hundreds of photographs, figures, and diagrams to help the reader visualize the evolution of the ATM over the past 50 years. The book also includes helpful chapters on ATM fraud, regulation, the emergence of an ATM trade association, and the possible future of ATMs as consumers shift more of their payments traffic to smartphones and other instruments.